All things preconception, pregnancy, postpartum, parenting and a little of everything else you have been curious about! Here at Health Foundations, we emphasize the importance of a healthy diet before and during pregnancy because we’ve seen again and again how much of a difference good nutrition makes in the health of mom and baby, including a reduced risk of c-sections, easier labors, quicker postpartum healing, and so much more. And the benefits aren’t just relegated to the childbearing year. Babies who receive good nutrition in the womb are at a lower risk for many serious diseases in their child and adulthoods, including high blood pressure, diabetes, obesity, breast cancer, autism, and ADHD. Science is finding the crucial role nutrition plays in epigenetics, or the factors, such as chemical reactions, that influence gene expression. Cutting edge studies are finding the importance of the gut microbiome in overall health for both babies and adults. So in that spirit, here are five foods that you might not find on the list of best pregnancy foods but are actually some of the best foods you can eat when expecting (and when planning to conceive). We went through a phase in our collective history during which everyone feared fats. And we still haven’t quite recovered. But many kinds of natural fats are not only good for you, they are essential to your wellbeing. Across cultures, you will find fats emphasized in fertility and pregnancy diets. Good fats include ghee, butter, dairy fat (full fat dairy products), avocados, and coconut oil. Used in moderation, these healthy fats can do a world of good for you and baby. They can support maternal skin health, optimizing your body’s response to the stretches and effects of gravity that pregnancy impose. Healthy fats in pregnancy also lower the risk of childhood allergies for baby, research shows. Additional studies show that health fat consumption in pregnancy can lower the risk of baby later developing autism. One of the easiest and tastiest ways to eat liver is through liver pates. Here is a tasty recipe for Chicken Liver Pate. Here is one for a delicious Beef Liver with fig, bacon, and caramelized onion. While not as ideal as consuming as food, desiccated liver in capsule form is also available. Because broth supports the nervous system, endocrine system and brain function, consuming it while pregnant helps the developing fetus build healthy organs. Bone broth is cheap and easy to make yourself. You can use the bones from a whole chicken you have cooked or can get soup bones from the coop. It is best to use high quality bones to make bone broth– those from healthy (grassfed or free range), organic sources. This is not a difficult thing to do in Minnesota! There are many great recipes out there for bone broth. 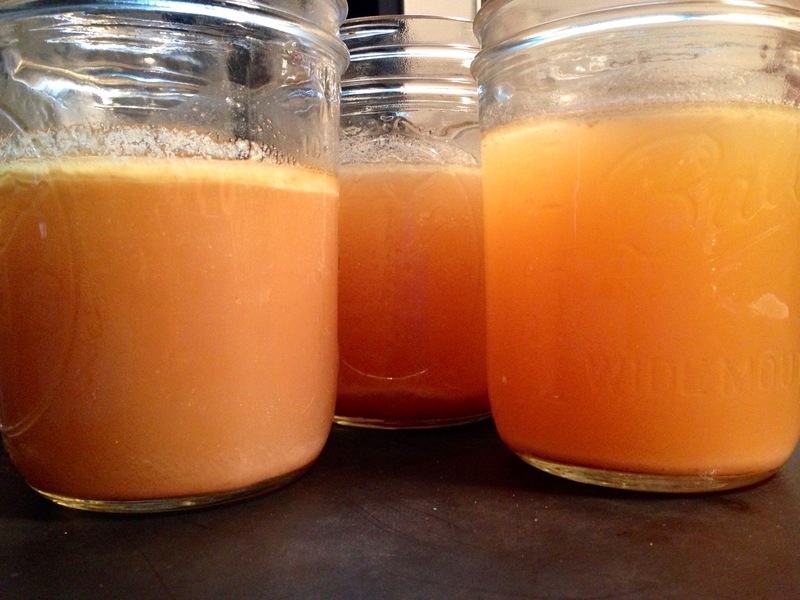 Here is one simple way to make and enjoy bone broth throughout the week. Here’s to you and your family’s health, mamas! We invite you to share your pregnancy, birth, and parent stories with us! Please email jaime@health-foundations.com with your stories or questions about sharing. Thanks!! !